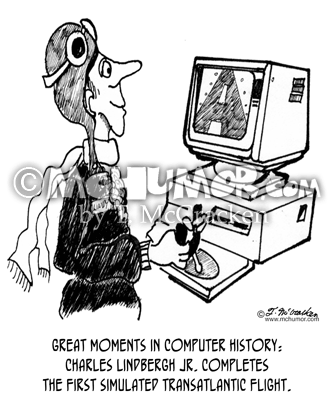 Flying Cartoon 1641: "Great Moments in Computer History: Charles Lindbergh Jr. completes the first simulated transatlantic flight." 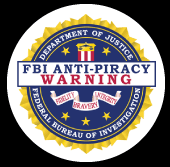 A man sits in front of a computer screen with goggles, a scarf, and a joystick. 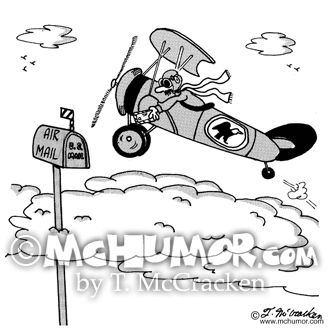 Mail Cartoon 5022: A pilot leaning out of an airplane putting mail in a box high in the sky labeled, "Air Mail Box." 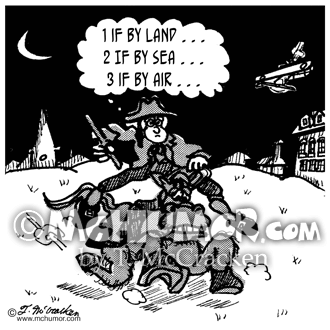 History Cartoon 2080: Paul Revere on his horse shouting, "One if by land, two if by sea ... three if by air?" 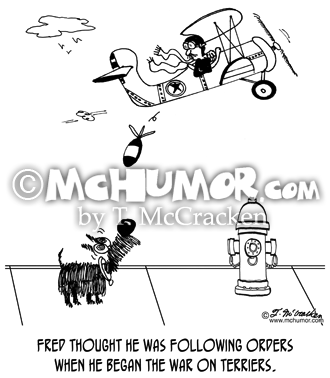 Dog Cartoon 8996: "Fred thought he was following orders when he began the war on terriers." A pilot drops a bomb on a Scottish Terrier dog. 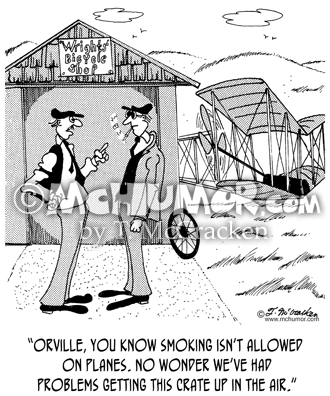 Flying Cartoon 4921: Wilbur Wright saying to Orville who's smoking "You know smoking isn't allowed on planes. No wonder we've had problems getting this crate up in the air." 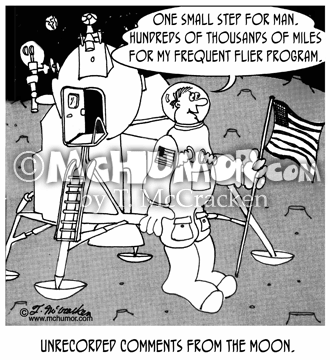 Space Cartoon 5227: "Unrecorded Comments from the Moon." Neil Armstrong saying, "One small step for man. 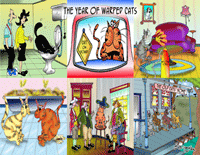 Hundreds of thousands of miles for my frequent flier program." 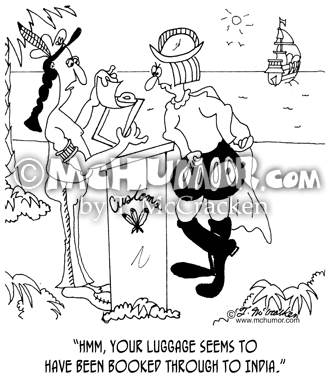 Flying Cartoon 6540: "The first known case of lost luggage from an airplane." 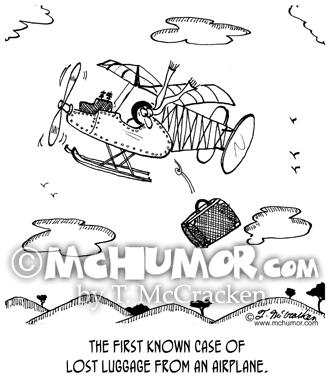 A suitcase falls off an antique biplane. 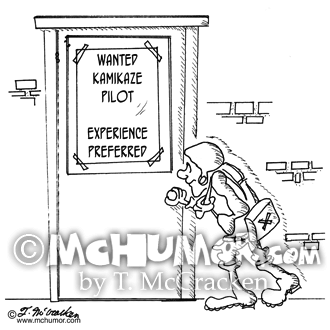 Pilot Cartoon 1468: A man with a parachute goes into an office advertising, "Wanted, Kamikaze pilot. Experience preferred." 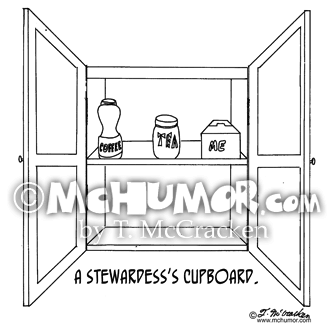 Stewardess Cartoon 0391: “A Stewardess’s Cupboard.” On a shelf are a Jar of COFFEE, a tin of TEA, and a box of ME.